If you love all things nature you will adore our delightful nature walks in our beautiful corner of the French Pyrenees. We will take you to our favourite places, well off the beaten track, with the walking led at an easy pace. 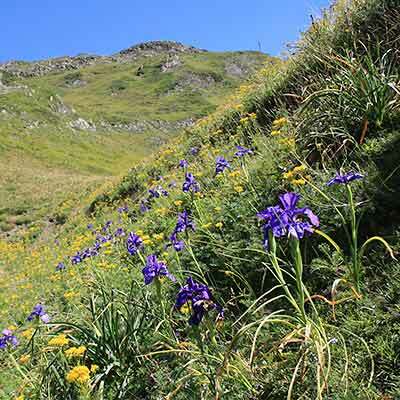 We will seek out the resident wildlife including isard and marmot, the best places for the raptors, the best valleys for the flowers, the high alpines … always taking the time to appreciate the richness and diversity of the Pyrenean flora and fauna.